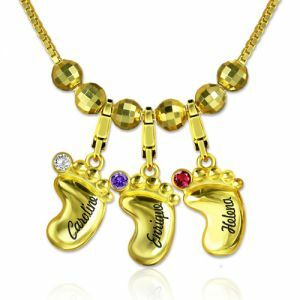 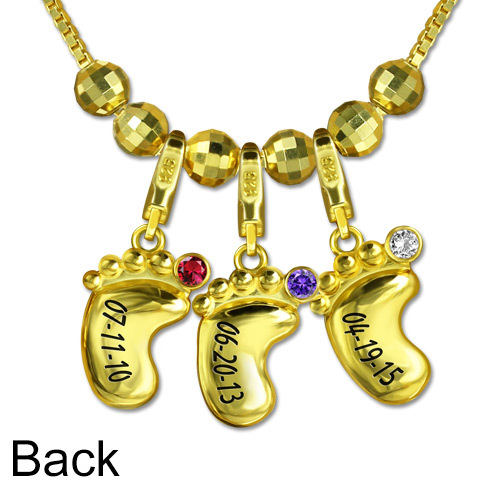 Sure to become one of her most cherished possessions, this 3D baby feet necklace celebrates the little loved ones in Mom's or Grandmom's life. Baby footprints featuring the name or corresponding birth date you choose - Up to 5 baby feet charms . A lovely gift for your wife, mom, loved one or a special treat just for yourself.